I packed up this Oreo Cheesecake with Oreo Cookie Crust and brought it to my youngest and his roommates. Rich and creamy, it was the perfect distraction while studying for their boards. Growing up, I don’t think we ever had Oreos in the house. But after I got married, they became a staple in our kitchen. 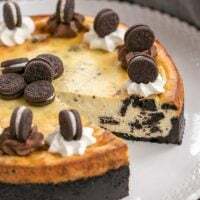 So when I spotted this Oreo Cheesecake recipe, I knew it would please the cheesecake loving daughter and the Oreo addicted hubby. Plus, we were taking Nick and one of his roommates out to dinner down on the Indiana University campus in Bloomington, so it gave me an excuse to make a calorie laden dessert. Those boys have good metabolism! And Oreo desserts are a guaranteed hit! Once upon a time, it used to be a package of regular Oreos that was always on hand, then came the Double Stuf Oreos, and now even Mega Stuf can be found in our pantry. 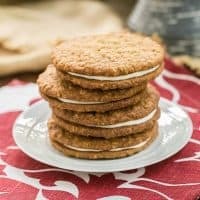 Not a fan of these cream filled chocolate sandwich cookies, I do admit to loving an Oreo cookie crust! 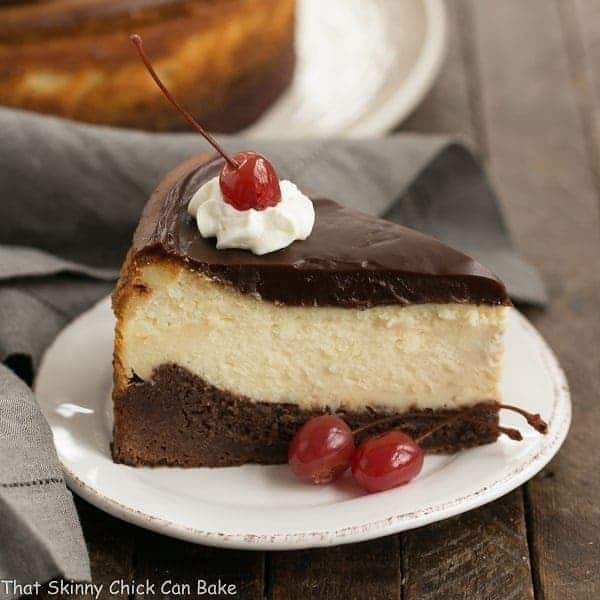 And it’s even a bigger bonus when there’s a rich, creamy cheesecake over that irresistible crust. Nick’s roommate dived right into this Oreo cheesecake as soon as we returned from the restaurant. He paused after a couple bites, smiled and uttered a compliment before returning to his dessert. Nick asked if I was trying to make him fat! He likes to exercise like his mother, so I wasn’t too concerned! 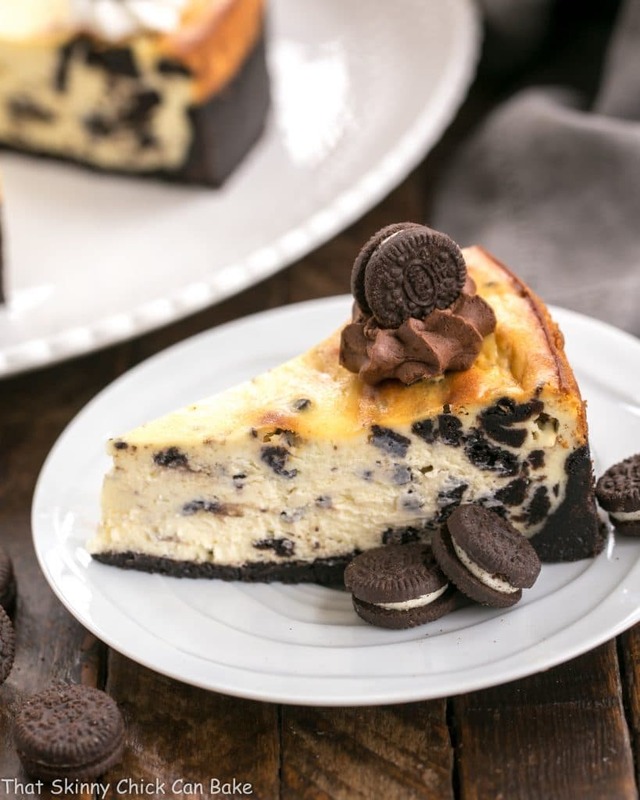 If you need a luscious, decadent dessert for an Oreo lover in your life, this is the one to try! As with all cheesecakes, they bake up smoother when all ingredients are at room temperature. 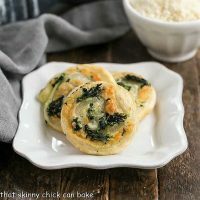 Get the eggs, sour cream, and cream cheese out of the refrigerator at least an hour before you start mixing the batter. 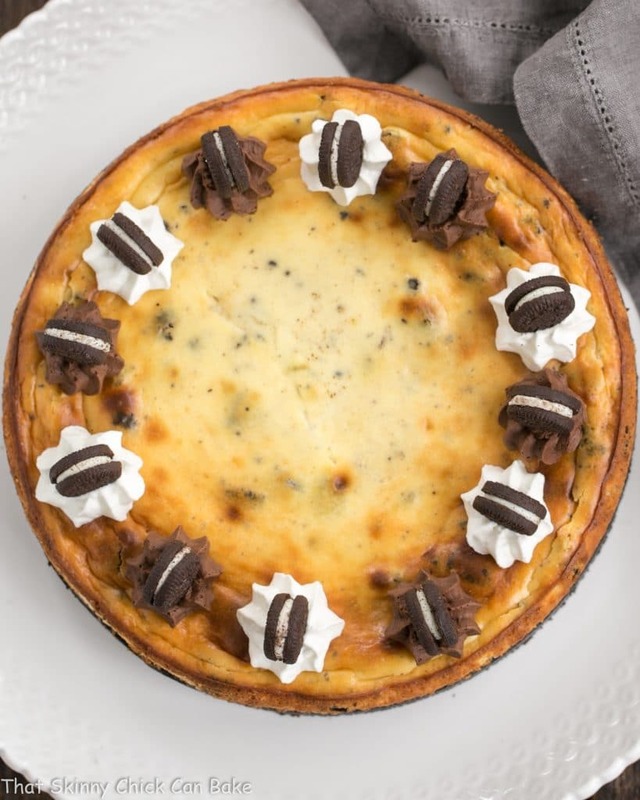 Using your stand mixer fit with the paddle attachment will prevent air from being whipped into the batter, making the resulting cheesecake super smooth and dense. 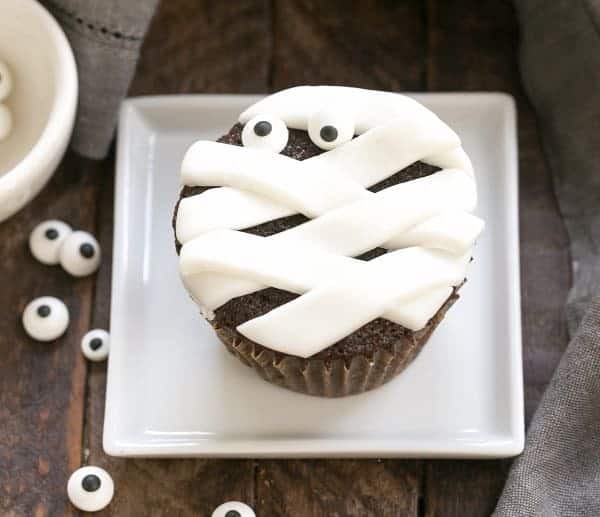 I baked this first without a ban marie, or water bath. I had a nice big crack in the middle. Of course, it didn’t hamper the taste one bit. And the crack can always be hidden with a few crumbled Oreos or a drizzle of fudge sauce! Garnish this cheesecake any which way you wish. I used some chocolate frosting and some whipped cream to pipe stars around the perimeter, then topped each with a mini Oreo. I am the Oreo love in my house so I would want to devour this all by myself, it would be a dangerous dessert to have around the place. But a delicious one I am sure. It must be very yummy and addictive too! What a fabulous creation this is brilliant! My mouth is watering, Liz! Looks unbelievably good!I wish I could have a piece!! Mega stuff, wow! Haven’t seen them yet! What a great mom you, Liz! Bet this cake disappeared quickly and your son is a lucky guy, and his friends too. Thanks for the great recipe, Liz! We never grew up with Oreos in the house either, and I honestly never buy them, but I LOVE their taste and flavour, especially in desserts! This is a must try! My cheesecake expert colleague would never bake a cheesecake without the bain marie, it guarantees a perfect cheesecake every time! I haven’t made a cheesecake in ages, 2012 to be more like it! This one looks like a real crowd pleaser. I love the little oreos on top, so adorable. 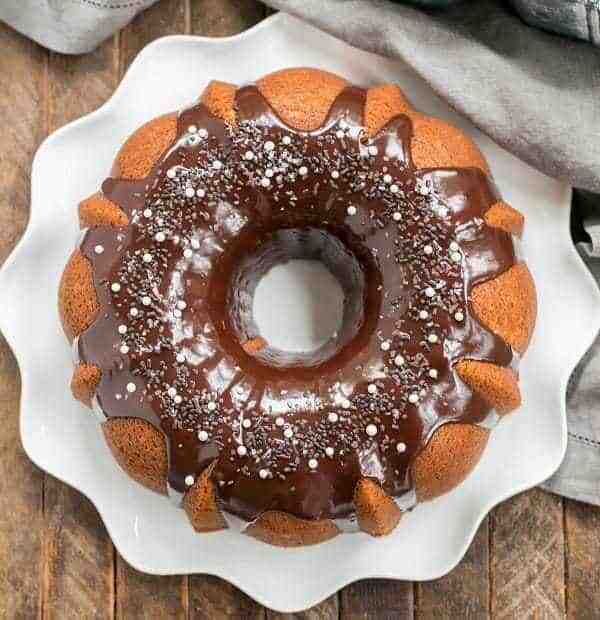 Such a yummy looking dessert. 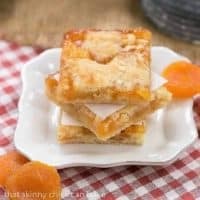 My kids would love this dessert. I’ve pinned this for my exercising loving son – and super thin daughter-in-law – this won’t hurt them one bit! So pretty Liz – and looks delicious. I bought a package of Oreos two weeks ago and it remains unopened. 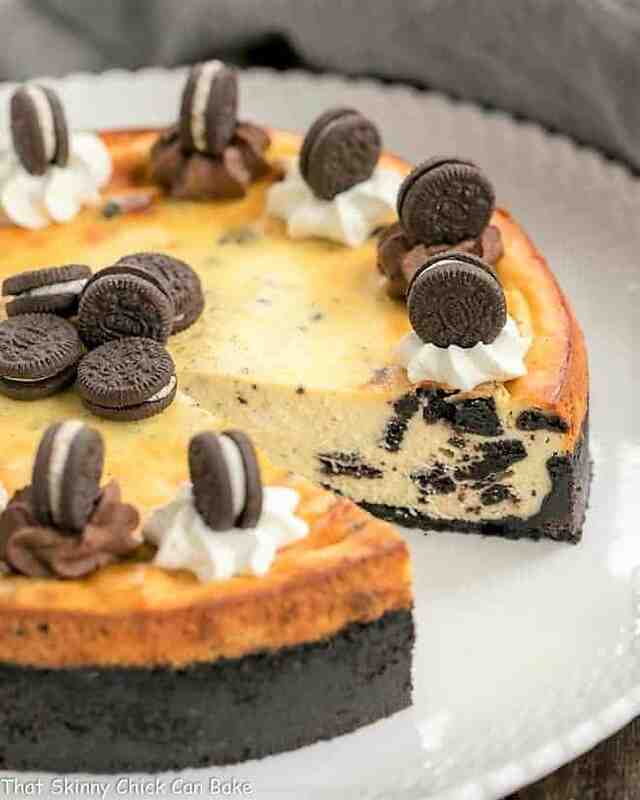 I’m not a huge Oreo fan but this cheesecake is very tempting. Thank goodness I like to exercise also! Wow looks fabulous! Pinned & sharing! Thank you for sharing on Merry Monday! Hope to see ya next week! Oh wow, this looks amazing! Pinned. This was a huge hit with the whole family! I can’t wait to make this again! Thank you! I made this for my oreo loving friend and it was a huge hit! Thank you for the delicious recipe! This cheesecake is heavenly! My family loves it. 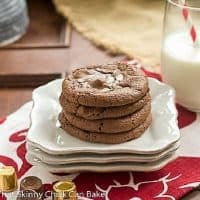 As a family who really loves Oreos, I have to say this was a big hit! This was a huge hit as a birthday cake! We all loved it. 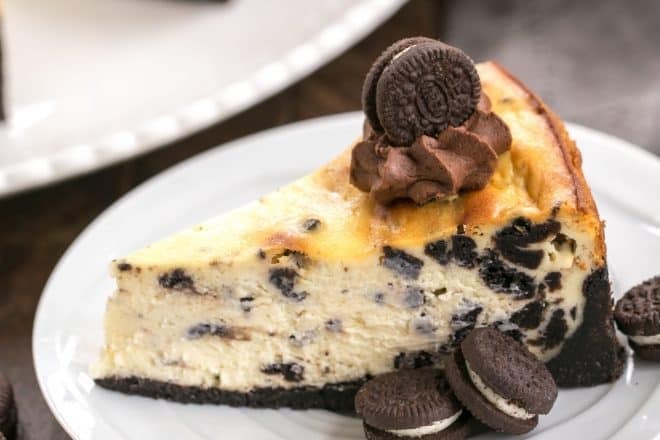 My favorite Oreo dessert! Just can’t go wrong serving this.